It’s a big weekend for Stevenage FC as both men’s and women’s sides prepare for the FA Cup. 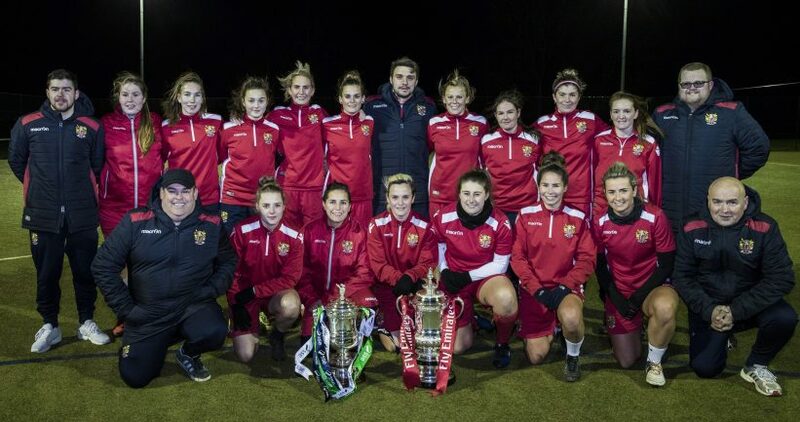 Ahead of the second round of the Emirates FA Cup and SSE Women’s FA Cup this weekend Stevenage FC have taken a joined up approach to their preparations, as both the Men’s and Ladies’ sides look ahead to their respective cup ties. 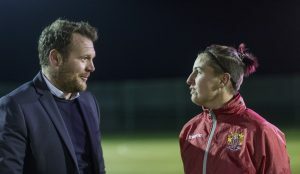 Manager of the Men’s first team, Darren Sarll, was on hand at the Ladies training session on Thursday night to wish Reece Buck and his Ladies team the best of luck for their clash against Ipswich Town on Sunday, 1pm. While Sarll’s Men’s side will face Swindon Town tomorrow at 3pm. Not only was Sarll there to lend his encouragement, he has previously managed members of the Ladies squad including skipper Donna McGuigan, and has taken a hands on approach with the Ladies team this season, assisting with pre-season training, attending some of their matches, and is keen to see the club progress in both competitions this year. 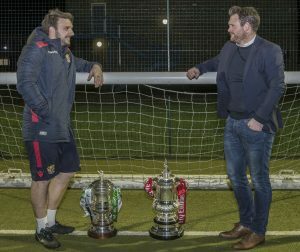 Both the Emirates FA Cup & SSE Women’s FA Cup trophies were in attendance at the training session on Thursday night, as excitement for a big weekend of football for the club builds. 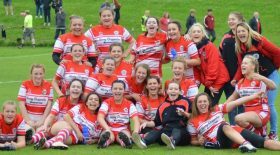 It is great to see the women’s team fully incorporated into the Club and we wish them all well with this weekend’s games.